The legendary road racing circuit in Wisconsin proved to be equally challenging as it is fun. Josef Newgarden piloted his No. 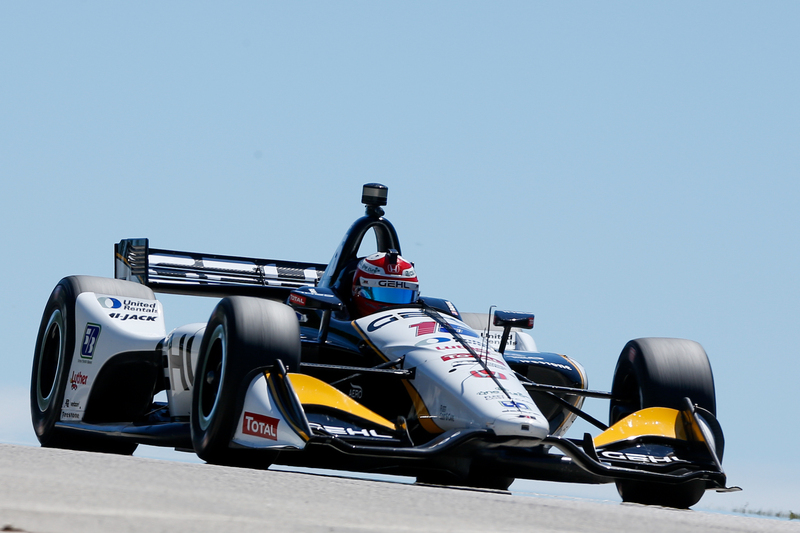 1 Verizon Team Penske Chevrolet to the pole position during Saturday's qualifying session after successfully taming the challenging sweeping corners of the legendary Road America. Newgarden's Penske teammate Will Power followed in second place, while Andretti AutoSport's Ryan Hunter-Reay was the best qualifying Honda in third place. The 4.048-mile road racing circuit is famous around the world for its long straights and high-speed corners where even the slightest of errors can result in massive life-threatening and car-destroying wrecks. Luckily, the field of 23 cars ran trouble-free for the most part, with Newgarden putting down a pole-setting time of 1:43.202 with an outrageous average speed of 140.020 miles per hour. This year's Indy 500 Will Power followed snipped at Newgarden's heels with a time of 1:43.250, just five-hundredths of a second behind his Penske teammate. With a lifted morale following his exuberant win on the streets of Belle Isle in Detroit, Ryan Hunter-Reay drove his No. 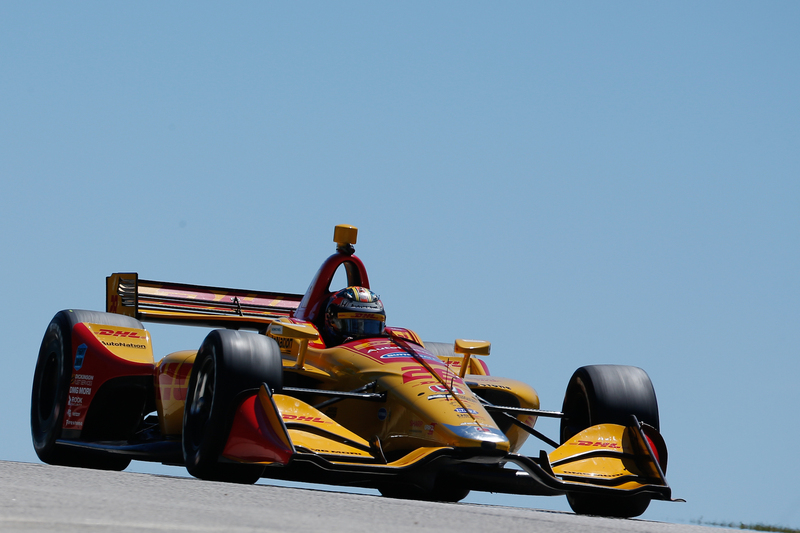 28 DHL Honda of Andretti Autosport to third place, which should give the American a clear shot to the front-runners down the main straight when the green flag drops. Behind him is his teammate Alexander Rossi and IndyCar rookie sensation Robert Wickens wraps up the top five. 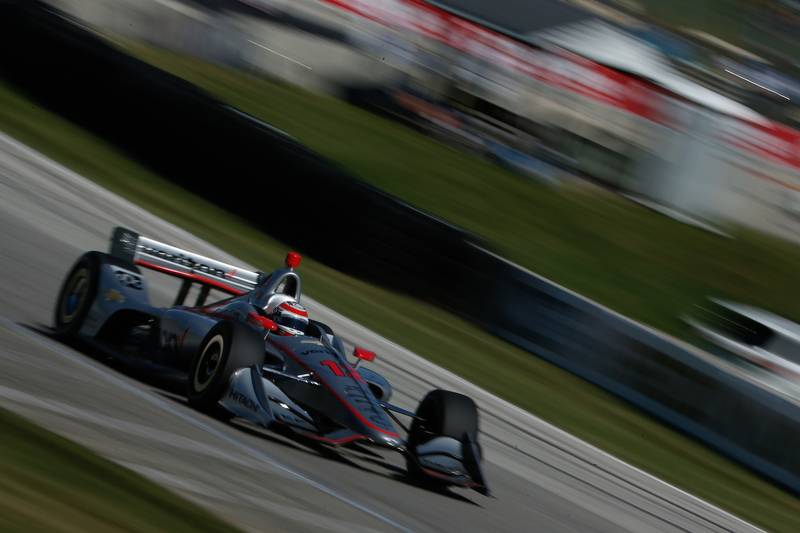 "We had the speed on Friday (in practice), so to finish it off today (in qualifying) is nice," Newgarden said. "It's only Goal 1. Two races: one for pole, one for the race. We need to close it out." "We just have to be smart and get through the first couple laps. Save the tires, save some fuel and be smart if a caution comes out in the middle of the race. We'll see what we have for tomorrow," he added. The second half of the top ten is where the real shakers and movers will start tomorrow's high-speed marathon as 2018 race winners like Sebastien Bourdais and Scott Dixon start in sixth and eighth place. Former Indy 500 winner Takuma Sato will begin in seventh and road-course expert Graham Rahal in ninth. "I just didn't think we had great space to work in out there on the track," said Dixon. "There were about five other guys before us and they are all trying to get their spacing right, as well. It's nobody's fault, it's just there's a tight window for everything." Tomorrow's weather in Elkhart Lake will bring perfect racing conditions as temperatures are expected to hover around the low 70s with sunny and clear skies. Car salesmen, racing veterans, and even teenagers—these are the stars of the ultra-competitive MX-5 Cup. The open-wheel series will not return to ISM Raceway in 2019.